1. Former FBI director James Comey is on a publicity tour for his newly released autobiography. 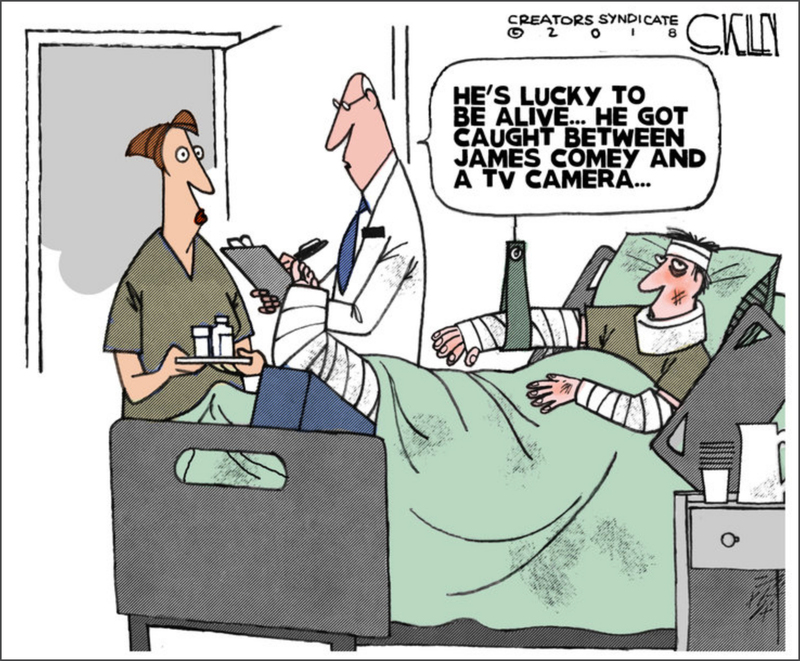 What is the main idea of cartoonist Steve Kelley’s cartoon? 2. Ask a parent: do you think the cartoonist makes a fair assertion? Please explain your answer.